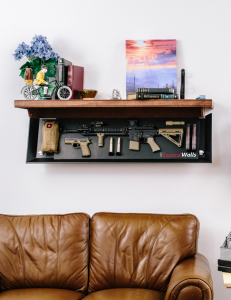 The bottom of this shelf from TacticalWalls drops down to reveal secret gun storage compartment. 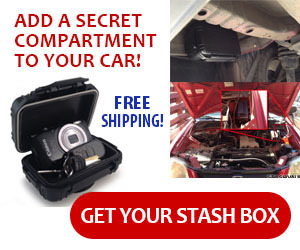 TacticalWalls builds a variety of concealment compartments to discretely add storage for guns, ammo and other valuables to your home. These shelves are one of the newest products to come out of this company.